dublab is bringing its soundsystem and collective of DJs to the Grand Central Market to get the weekend and evening started. Enjoy DJ sets along with food and drinks in a fun, upbeat atmosphere with the classic sounds from the wide musical map dublab is known for exploring. 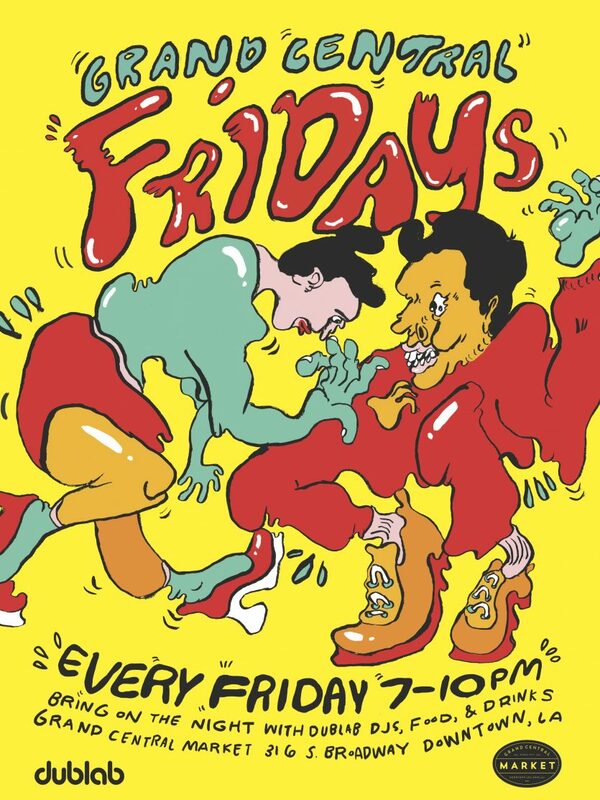 Wether it’s modern dance, funk, soul or music from around the world, every Friday from 7pm to 10pm a different dublab DJ will select the right tracks while you get ready to bring on the night!